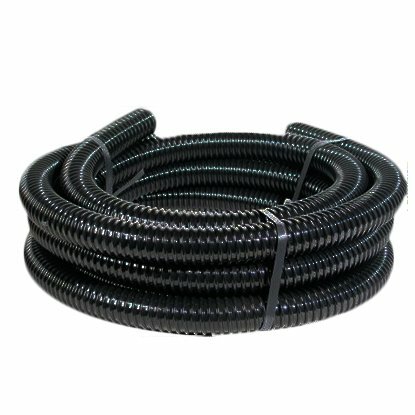 Pipes, hose and tubing are the 'circulatory system' of any Koi pond, water garden or waterfall. Selecting the right pipe, hose or tubing for any project, from a residential backyard pond to commercial water feature or municipal project, is a key decision to create and maintain a healthy water environment. The Patriot Brand is used with schedule 40 barbed fittings. Resists UV deterioration, and black material inhibits algae growth: Fish & wildlife safe & Warranted for 25 years.